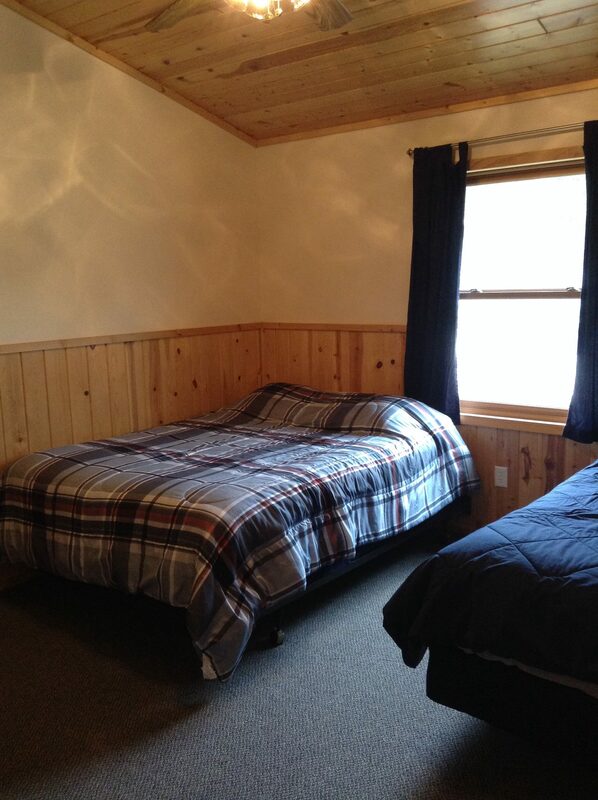 This is a lofted lake front cabin which has 2 bedrooms and 1½ bathrooms. 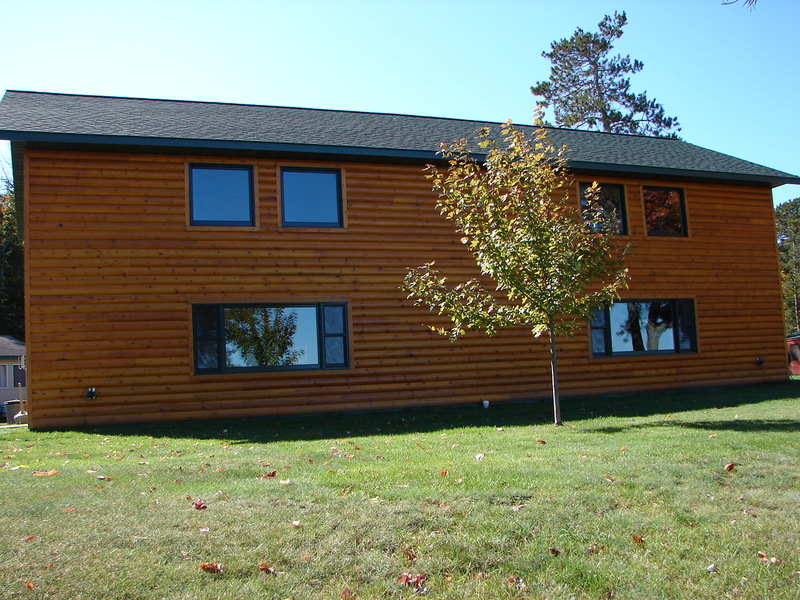 The two bedrooms and full bathroom are located upstairs while the spacious kitchen and living area and half bath occupy the downstairs. 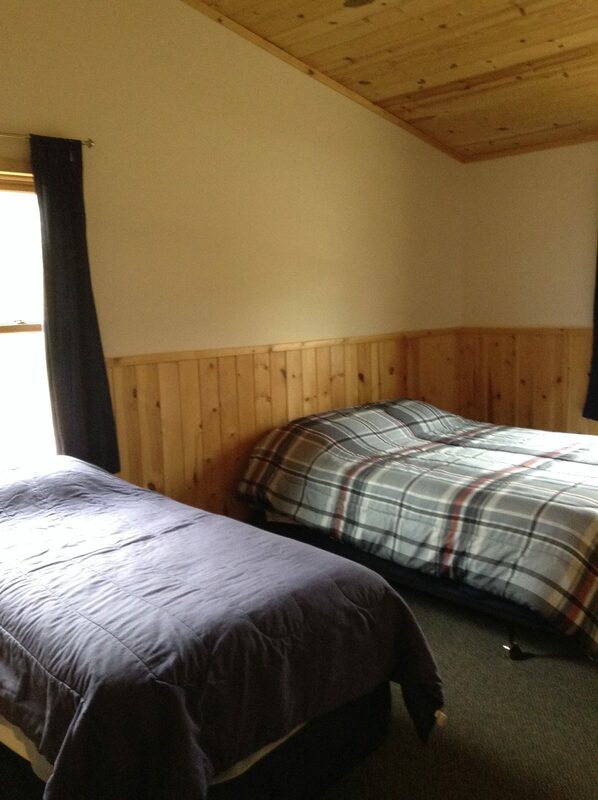 Each bedroom contains a queen and a twin bed and all of the bedding is provided. There is also a Queen size sleeper sofa in the Living room. 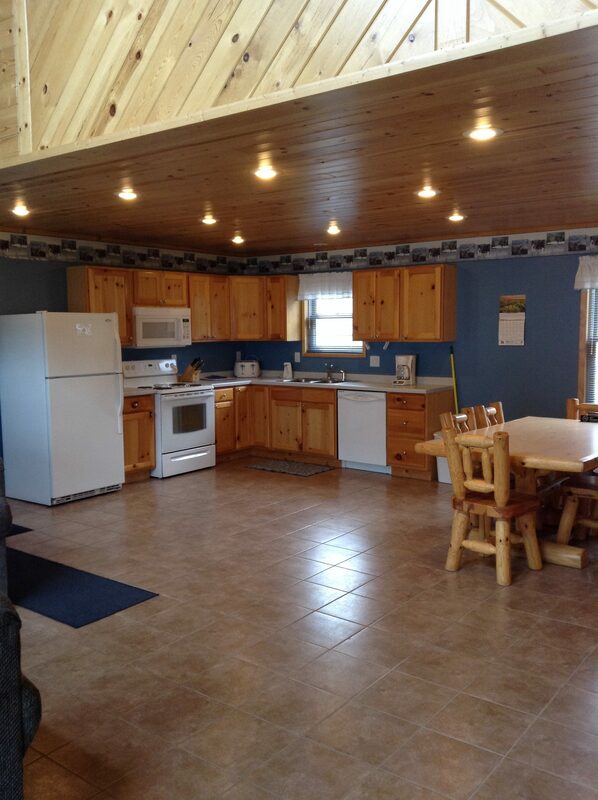 This cabin has knotty pine interior, with a balcony overlooking a huge 28×28 living area, log exterior, a beautiful view of the lake and comes completely furnished. Please bring your own bath towels, dish towels, and dish soap. 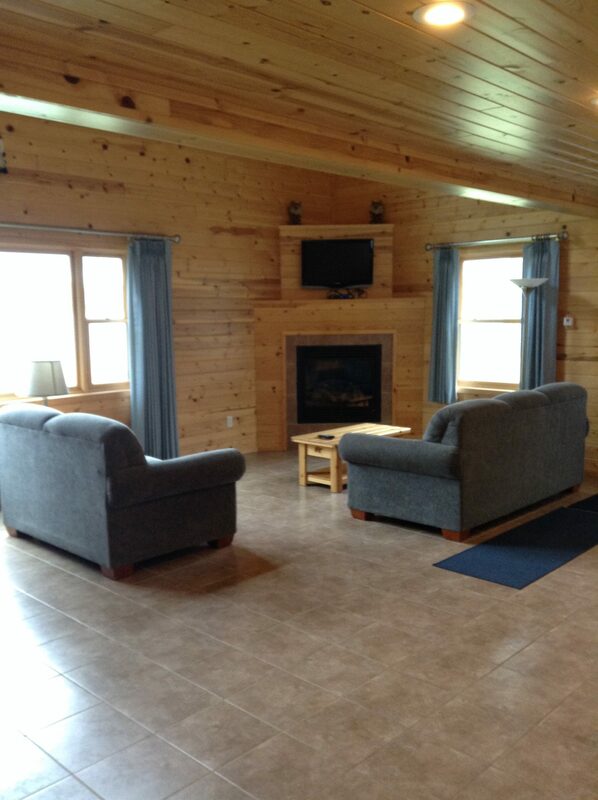 This is a NO PET, Smoke Free cabin.